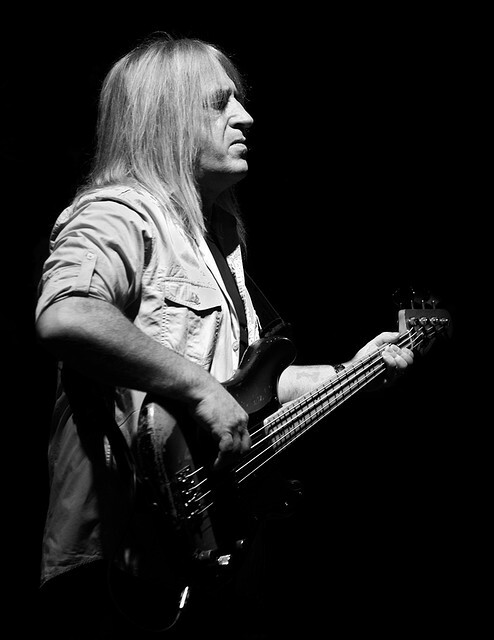 Loved your article on Trevor Bolder & I agree w/ you, that Trevor was one of the Greatest bassist of our time & just like the band themselves, tragically under rated. His gifts to music & the band,over the years are priceless. Uriah Heep has always been MY favorite band, every since their debut album (Very Eavy…Very Umble), or the Dragon Album as I’ve always called it, because of the album cover that was released in the states. To me Trevor was the hero that stepped RIGHT IN & filled Gary Thain’s shoes after he was electrocuted on stage & unable to return. 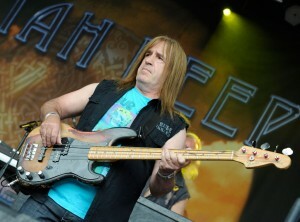 Trevor may well be the main reason why the band has endured & continued ROCKING for now over 40 years. Who knows how many bassist it would have taken to find one that could step right in & who would in the end, last WAY LONGER than most of the original members. 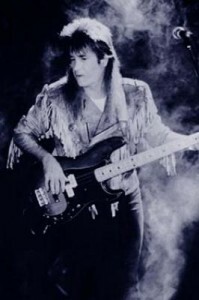 To ME Trevor IS & always WILL be one of the original’s, After hearing him debut on the firefly album & again on Innocent Victim, I knew the band had found THEIR bass player, after John Wetton’s brief stint w/ UH. 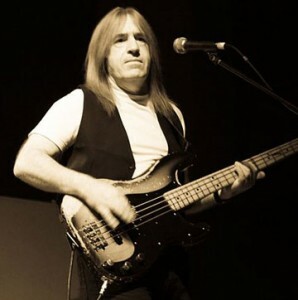 Now we fast forward to June 6th, 2014 &The band’s release of yet another studio album (their 24th) Dave Rimmer is now the new bassist (Thanks Dave). But had it not been for Trevor Dave may have never gotten the oppourtunity. To Me Trevor will always be remembered as the glue that stepped in & kept the band together, what seems so long ago now back in 1976, when @ that time it seemed the band may reaching the end of their journey, So in a sense Trevor’s spirit still lives on in the soon to be released Outsider….for had he not came along when he did who knows….RIP Trevor & from this old Heep fan, Thanks. Thanks for the comment. I agree with you that Trevor had a positive impact on the Heep way beyond just being a superb bass player. There was no other player like Trevor. He told me a few funnies over the years I knew him as friends. Like smacking himself in the nose, whilst throwing his bass during July Morning on stage. He carried on with a bloody nose! !